About time! We’ve been waiting all summer for tonight! SGU is the best of the franchise thus far, and I can’t wait to watch! 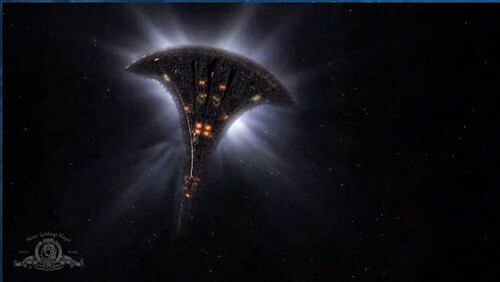 I’d like to watch SGU (especially since it’s the lead-in for Caprica, which I’ll definitely be watching! ), but I didn’t watch season 1. Is it the kind of show I can jump into this season, or should I “catch up” first? It doesn’t hurt to catch up, but I think you can probably follow what’s going on regardless. If you just want a quick primer on events so far, check out the Wikipedia entry on the series; it’ll give you enough to go on. In the UK Season 2 of SG:U starts on Tuesday October 5th at 9pm on Sky1 and Sky1 HD. I finished season 1 last night for this very occasion! Excited. I’ve got one season left of Atlantis before I can watch SGU (yes, I’m one of those people). I need to get on that. I am sad that us Canadians cannot get SG:U in HD. I wish Space would convert to/add a HD channel. Thank you for the reminder. I did not know it was on tonight. My DVR is groaning with the effort of keeping up with new shows. I haven’t started winnowing out the duds yet. @9: Really? That seems… odd, to say the least. There isn’t any difference in the two feeds on the east coast. In fact I frequently grab the later west coast feed for a lot of my cable shows so that I can also DVR the network shows that I want. As long as I tell it to record off SyFyHD instead of SyFy (that spelling still hurts me) it’s all good. @2 – Here is the super short season one synopsis. We found out about an ancient ship in a galaxy far far away. We get to the ship but the planet we left went ‘esplode so no one can send us help. Military and civilian folk don’t get along so well. There is some interpersonal strife between some and hooking up between others. We run out of then find replacements for Air, water and food. We meet, fight and run away from aliens. Many main characters died but not really because it was a time loop/paradox/alternate time line thing. The Lucian Alliance find a way to get on the ship. Fighting ensues. Characters in jeopardy. Destiny in jeopardy fade to black. To be continued. We also found out that space toilets, left unattended, really get nasty after a while. @Eridani: Having seen both Stargate: Atlantis and SG-U, I can say with certainty that the former has no connection to the latter. No plot elements from Atlantis escaped to SG-U. It’s pretty much a clean slate. SyFy’s programming hasn’t been as bad as I thought it would be when they made the big change. Eureka and Warehouse 13 are enjoyable and Haven is actually pretty good. SG:U and Caprica are well done though a little to much space opera for my tastes. I still watch SG:U regularly. I just can’t get into the Battlestar Galactica/Caprica universe for some reason. I’ve given up on those. I can’t think of another channel that has 4 current shows worth watching. Top that off with a couple of other high quality shows that don’t interest me personally, the occasional interesting movie and every once in a while managing to put together an interesting string of reruns and I think they’re doing alright. I still think the new name is stupid. I don’t get it, WHY Tuesday? They have this habit of taking good shows and putting them on at a day and time that people can’t watch… and then killing the show because of ratings. WHO are theses stupid people? Agreed, MrMaigo. Tuesday night is an extremely crowded timeslot with lots of good shows on multiple networks. My Comcast DVR can’t record all of that at once, and I don’t think the dumb thing is stupid enough to record only new shows in a repeat time slot (if those even stay the same). Hopefully Hulu and/or Sy-Fy’s website will provide a backup viewing. I weep for our culture that apparently gives higher ratings to ‘Smackdown’ than intelligent and entertaining shows like SGU and Caprica. REMEMBER at all times: Skiffy is only in it for the money. Nothing they do is about culture, art, sf or anything else EXCEPT money. This is a simple fact, relentless as gravity. I’m tickled as all get-out the The Bacon Lord of SFWA is getting work from one of their shows. It’s an amazement; I hope it goes on for yonks and years. History, however, teaches us that Skiffy will always go for the easier dollar. Forget that at peril of disappointment. Does anybody know who was singing at the end of the show?? It gave the credit for Joel Goldsmith, but a lot of his stuff is just background music and no lyrics. I would really appreciate the help. Thanks! I just want once, in the entire franchise, for them to find the button that turns everything on. Or at least the button that turns the repair bots on. The scenes are very dark. My TV that has satalite doesn’t produce the deepest blacks so it is annoying for me to watch. Does anybody know who was singing at the end of the episode ‘intervention’? Guys, also, if you didn’t catch season 1 (which I didn’t, even though my boyfriend nagged me from the day it started about watching it), it’s on the Netflix. I’m plowing through right now. That three-hour pilot is tough but you can make it. Between this and impending BSG streaming, Netflix is proving its worth times a crazy zillion this fall. Also… all you “I don’t wanna watch SyFy” types? Don’t even. I went through Farscape. And that hurt. 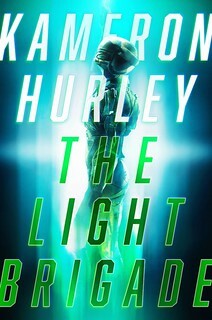 Rush is the first really deliciously demented protagonist I’ve seen in sci-fi tv since… well jeez. Maybe Crichton. Except on fast-forward, like everything else about the show. And Scottish, which is totally HOT, guys. Keep her afloat, this one. Why is there singing at the end of the show? Seriously! Why is there a music video for 3-5 minutes in every episode? Can they at least break into some sort of synchronized dancing? I blame Scalzi! I bet he reads the script and makes a note of where he wants the music video. Or sometimes he gets the script and it has the question – what can we cut to fit the music video? 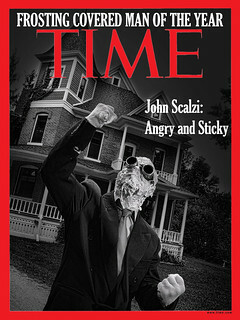 I blame Scalzi for everything. EVERYTHING! I missed the show last night, but usually watch it on Hulu as soon as it gets put up. I know that you, John, have no control over Hulu but I do wish that they’d show more of Stargate Atlantis, and more than the final 5 episodes of Stargate Universe season one. Great season opener Oh great and powerful consultant Mr Scalzi sir. Please tell me that the baby will not appear in some later episode as a full grown adult. The one thing about most sci fi that drives me insane is that children inevitably get sent to another dimension where time moves at a different speed or have inhuman grow spurts or some such drek. They never just grow up. Looks like a lot of mystery and cool things to come. Plus all the nifty gadgets the Alliance brought on board with them. The awesome song was called “After the storm” by “Mumford & Sons”. I love the show and I don’t mind the “music videos”. In fact I like them… a lot. Thank you so much Björn. I Appreciate it!! Check out Gregory Alan Isakov if you like that style of music. A true legend. Mish@23 – another ‘Scaper here. We fought our way to The Peacekeeper Wars. The Skiffy business model has to be kept in mind. Otherwise, insanity is sure to follow. We totally have that phone in the picture in our office conference room. Yeah, my wife watched most of Farscape and I get the feeling that I’ve missed too much of a pretty good show (I only saw scattered episodes). There was also the bizarre but great show “Lexx”. I think we found out tonight that John is also a secret consultant for Fringe, since Walter mentioned Bacon Pudding in this episode. Put me firmly in the “hate music videos” camp. Just seems like an easy way to elicit an emotional response in the viewer without having to actually write dialog to do so. Working it in well, like the visit to a Janelle Monae concert, is fine, but it’s too often a crutch IMO (Fringe does it too). The show occasionally gets a bit more Deep Space 90210 than I’d like, but for the most part I’ve enjoyed the hell out of Season 1 (two more eps to go for me via Netflix).